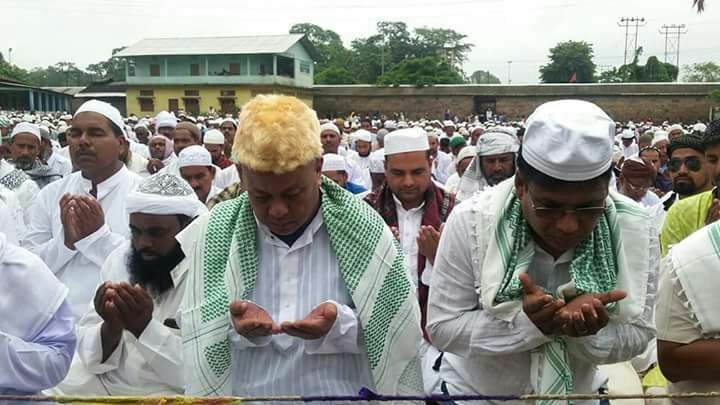 Along with rest of the country and the world, Eid-ul-fitre was celebrated with much pomp, gaiety and religious fervour among the Muslim people in Kokrajhar of Assam. Special namaaz were held at different mosques and iddgahs in different parts of the district in places like Bhotgaon, Salakati, Jaipur, Fakiragram, Chilita and Gossaigaon. Followers of Islam were seen thronging the mosques and iddgahs for namaaz and pray for peace. Eid-ul-Fitre, marking the end of the Islamic holy month of Ramadaan, during which the faithful undertake fasting from dawn to dusk, was celebrated by all fostering a sense of universal brotherhood. BTC chief Hagrama Mohilary extended Eid greetings to the people of Assam on the occasion. Hagrama also participated in the special Eid namaaz in Kokrajhar amid much cheer among the people.